For people who loves cakes, they may want to go around the world and taste cakes in any single culture. Tina is one of those persons while I was never a fan of sweet cakes with cream, just not my style, but this Napoleon cake really made me exciting. The cake, also named Mille-feuille, is a French delicacy to be discovered if you are truly fallen in love with cakes and is a must try when you are in France. 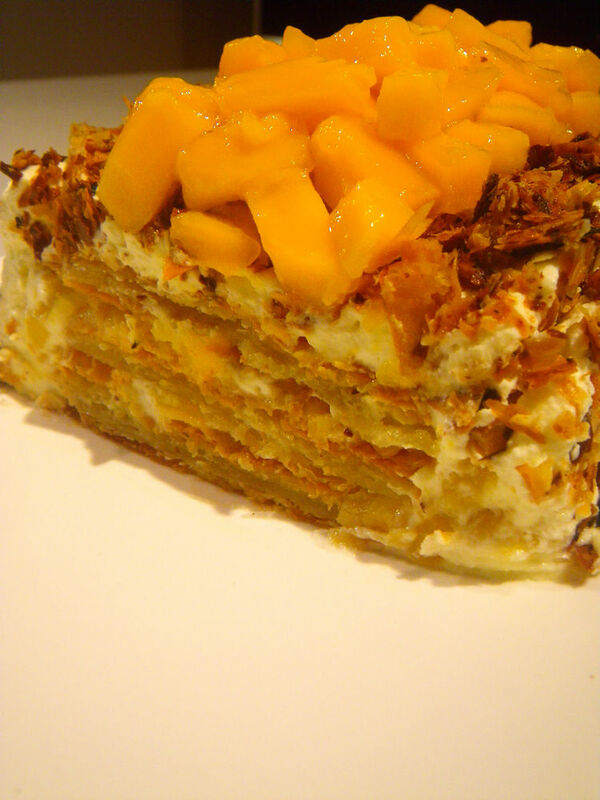 The cake consists of layers of puff pastries as well as cream and is not so hard to make. A generous 3-hr time slot is going to be perfect to make the cake. 1. For making the dough, cut the butter (40 g) into small pieces and mix well with the flour. 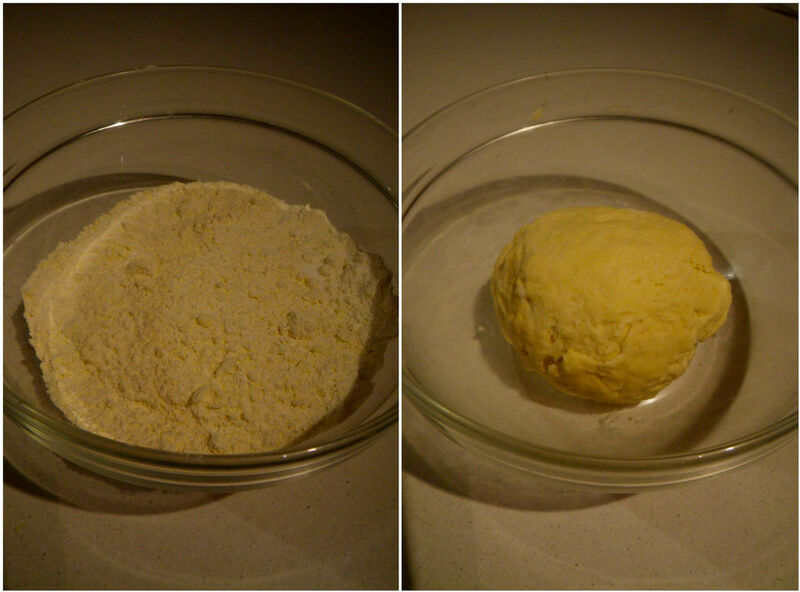 Try to press each piece of the butter to completely mix into the flour as shown in the left side of the photo. Add salt and water to make a dough. Cool for half an hour in fridge. 2. For the rest of the butter (190 g), hit it with a hammer into a butter sheet with moderate thickness as shown below. Take the dough out of the fridge and roll to twice of the size of the butter sheet. 3. 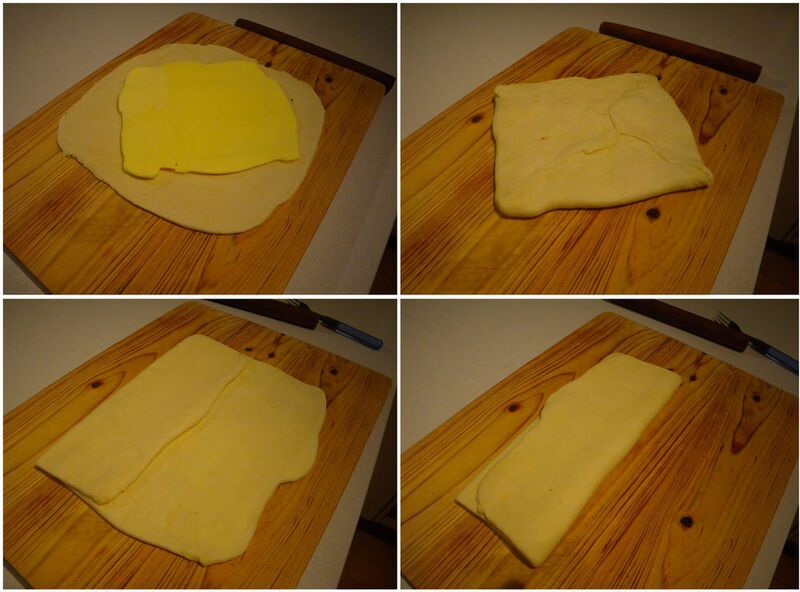 Place the butter sheet onto the rolled dough and fold to the shape as shown below in the top right pic. 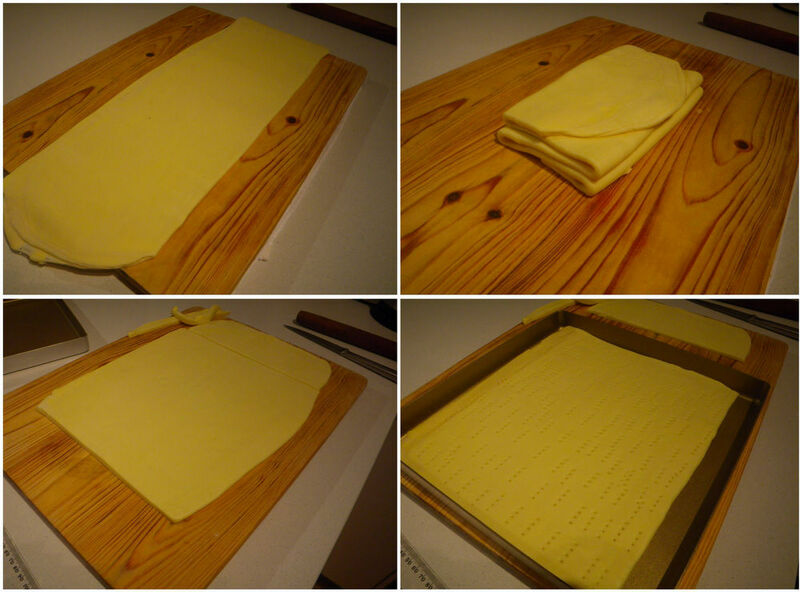 Then roll the folded dough and butter into a long and thin sheet. 4. Fold the new sheet into three folds (the bottom two pics). 5. Place the fold in part 4 in the fridge for another 30 minutes. Take out at the end of the time slot and roll from it into another long and thin sheet. Make sure you roll gently from the center of the folded sheet towards the end. Don’t apply high forces, otherwise there will be no layers later. Then fold as step 4. 6. Place in the fridge for another 30 mins and then roll out as stated in 5. However, this time, instead of doing 3 folds, we make a 4 folds sheet. 7. Cool in the fridge for the final 30 mins and roll the sheet into 4mm thin sheet. 8. 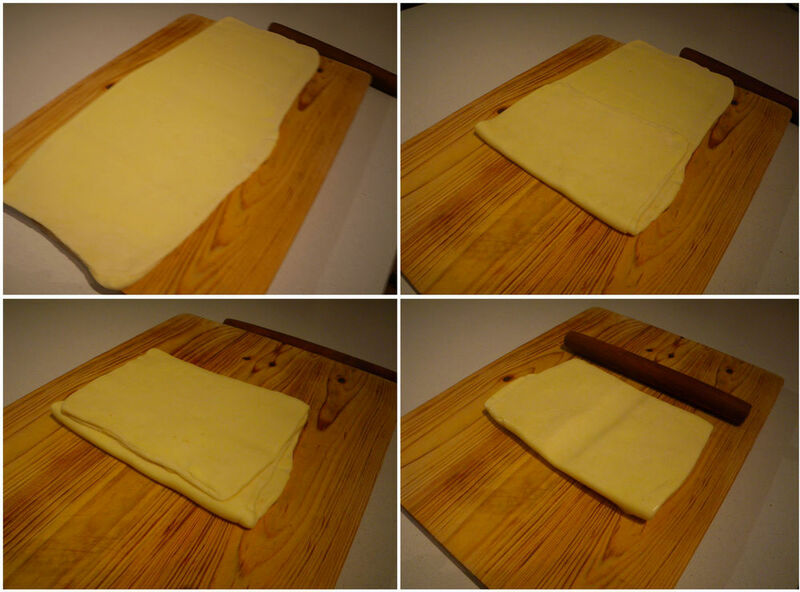 Use a folk to make some holes on the sheet and trim the excess dough to fit into a baking tray. 9. Place the trimmed pastries in another tray and bake both in a preheated 180 oC oven for 25 mins. 10. 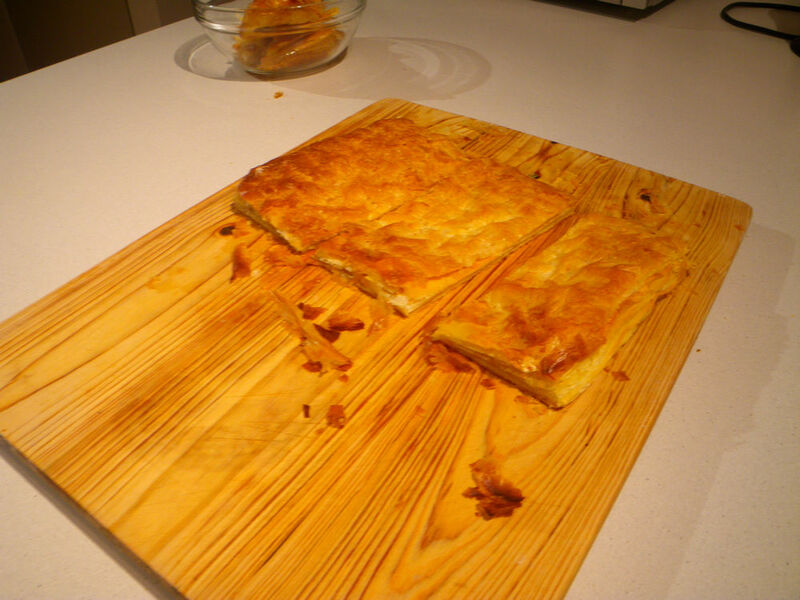 Take the puff pastry out of the oven and cool for 2 mins. Then cut the big whole piece into rectangular shapes with required sizes. Then break the trimmed ones into small pieces. 11. Use a hand mixer to beat cream. 12. 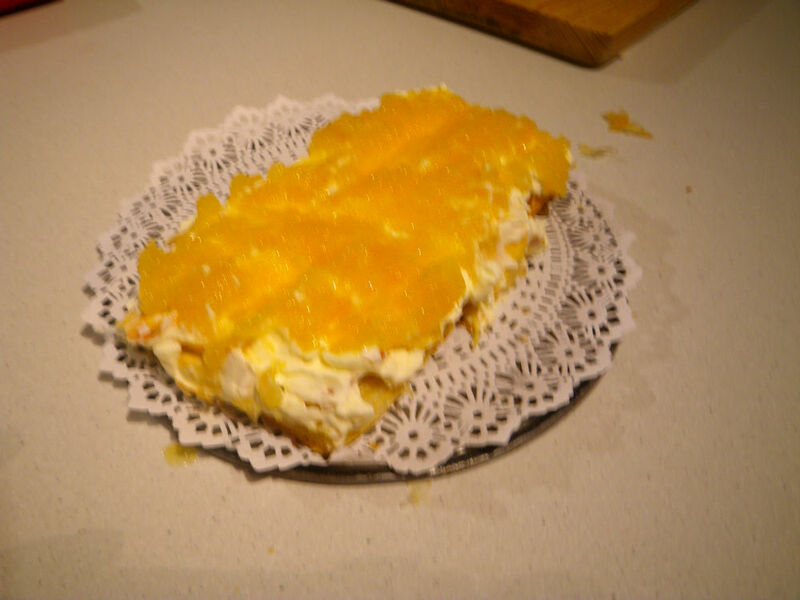 For a layer of the puff pastry, whip with a layer of the cream and a layer of mango pieces – you can smash them if you want. 13. Then, place another layer of the pastry on top of the cream. Repeat step 12 and 13 for 3 times. 14. On the outside of the pastries, whip with the cream and spread over the broken pastry pieces from step 10. Top with the diced mangoes. 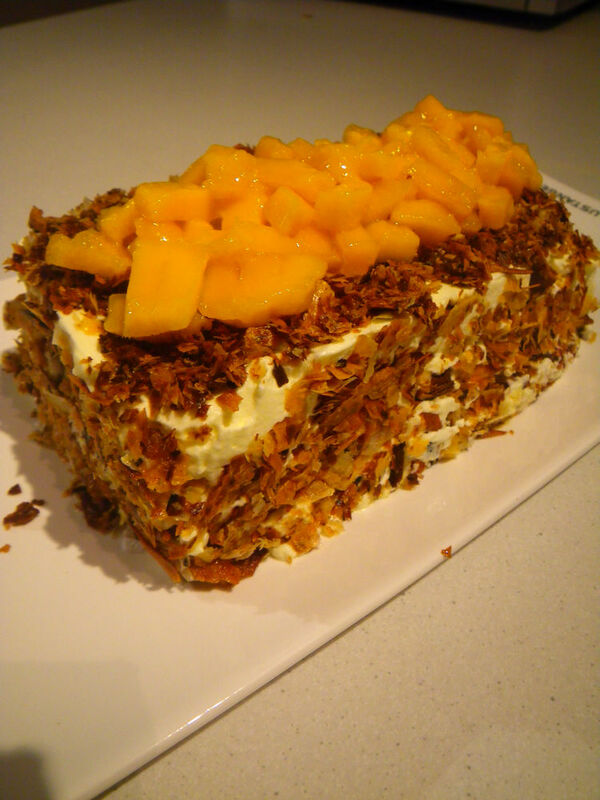 Here you go – my Napoleon cake, completed within 3 hrs. Hooray! G’day! Looks great Xin! Well done! Reminds me very much of a childhood! 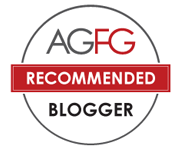 Thanks for a good recipe! My sister and I love all sorts of cakes. I heard you did well! Although you said it was simple and easy, they are quite difficult to make. Appreciate your efforts.